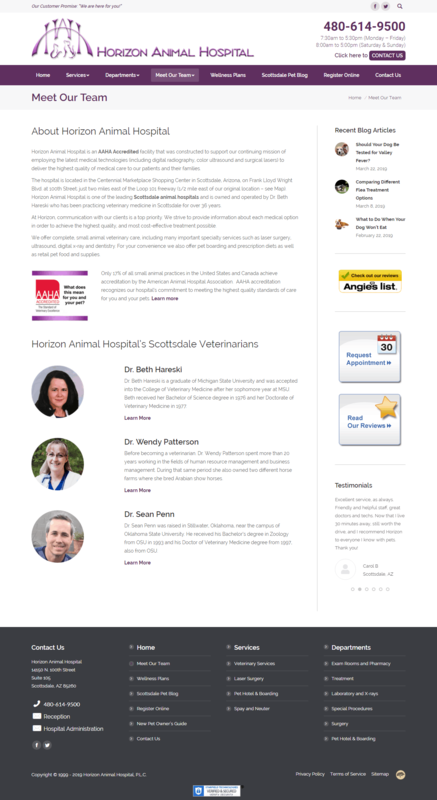 Horizon Animal Hospital is an AAHA Accredited facility that was constructed to support our continuing mission of employing the latest medical technologies (including digital radiography, color, ultrasound, and surgical lasers) to deliver the highest quality of medical care to our patients and their families. 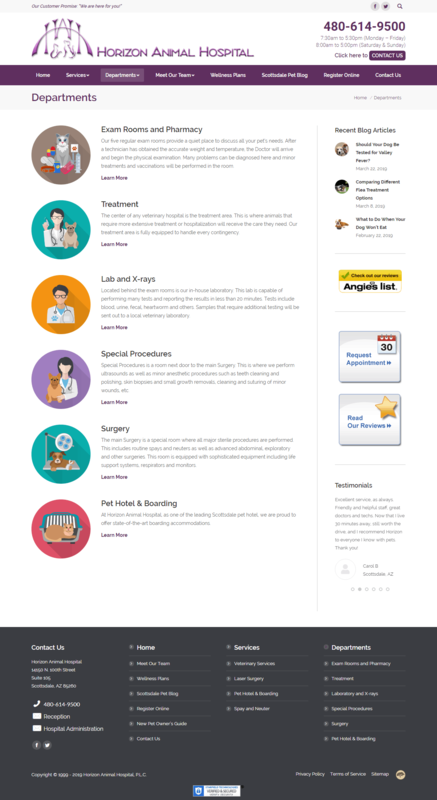 We offer complete, small animal veterinary care, including many important specialty services such as laser surgery, ultrasound, digital x-ray and dentistry. 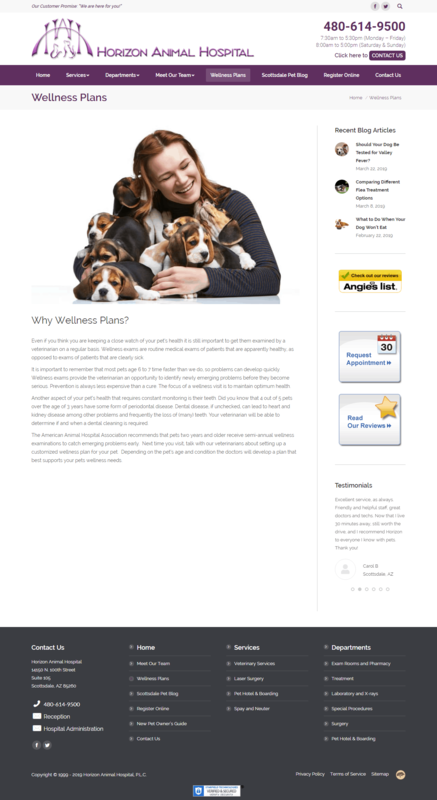 For your convenience, we also offer pet boarding and prescription diets as well as retail pet food and supplies. 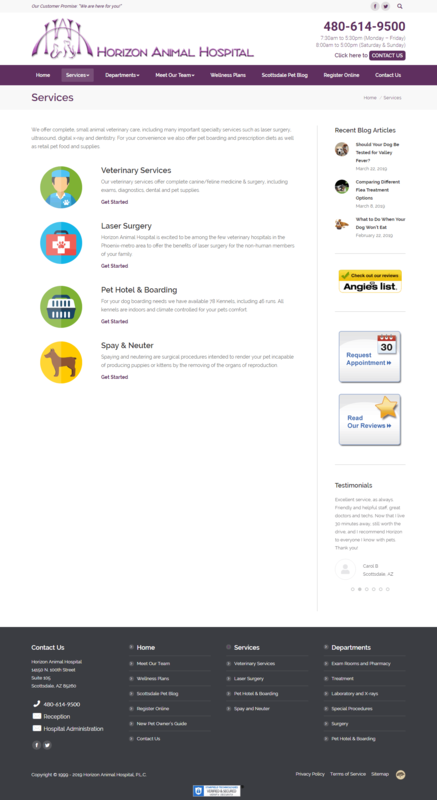 Problem: The client needed a way for customers to register pets online for upcoming appointments. Solution: We developed a WordPress plugin that takes information submitted through a contact form and outputs it into an Excel spreadsheet. This Excel spreadsheet is then attached to the Contact Form 7 plugin email that is sent to the client. The attached spreadsheet is a completed form that looks similar to the one that would be filled out in the animal hospital waiting room.